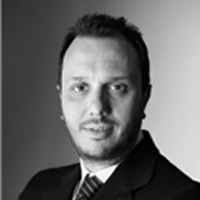 Mr. Alexis Spyropoulos practices law since 1999 and deals with all aspects of Commercial/Corporate law, Public/Administrative law, Regulatory law, Competition law, IP & Life Sciences law. His corporate/commercial profession spans all areas of the practice, including inter alia, complex transactional work, company maintenance, corporate litigation, credit services and debt collection, insolvency participation in non judicial settlement disputes, undertaking of actions for the enforcement of legal decisions. He also covers the full array of intellectual/industrial property law, including patents, copyrights, trade secrets, unfair competition and trademarks. Alexis’ administrative/public law practice covers the full spectrum of the profession and extends across a range of industries/sectors: provision of legal services to public and independent administrative authorities, representation in all kinds of proceedings before administrative courts and authorities, damages actions, annulment applications and appeals against decisions of administrative authorities, legal support before disciplinary councils in relation to the implementation of the Civil Service Code, legal advice and opinions on public procurement legislation, appeals and objections before contracting authorities as well as judicial representation of tenderers before competent courts. He acted from 2007 to 2015 as Head of the Legal Department of the Hellenic Telecommunications & Postal Regulatory Commission (EETT) handling mergers, numerous complaints, actions and ex officio infringement proceedings under Articles 101 and 102 TFEU and their national equivalents. Alexis has been legal advisor for many years to companies operating in the health sector and has served as Chairman of Disciplinary Boards in public companies. He has a unique litigation expertise in administrative, public and commercial law actions, representing and successfully defending undertakings, Government, Government bodies in all kinds of proceedings before administrative/civil courts and tribunals. He regularly offers consulting services regarding regulatory law in various industry sectors and has participated in the preparation of secondary legislation and a series of regulatory decisions in the electronic communications sector. Alexis was running his own boutique law firm, working as senior legal counsel to clients from various industries such as health, science and consumer products. LL.M. in Commercial law, Intellectual Property Law, Insurance Law & Competition Law (LL.M) at the University of Sheffield, U.K.